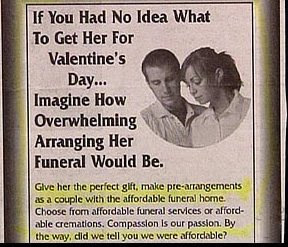 Valentine's Day is just a month away... most men want to find the perfect gift. Here's an idea she's sure to adore. Unless you are one foot in the grave...FORGET IT!! Flowers are your best bet, AND not on the casket! !